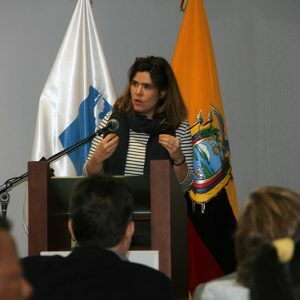 The Auschwitz Institute for Peace and Reconciliation (AIPR) participated in an international seminar entitled “The Importance of the Creation of Spaces of Memory within the Process of Intangible Reparations,” which was organized by the Ecuadorian Ministry of Culture and Patrimony and the Office of the Ombudsman of Ecuador from September 19-21 in Quito. This new initiative comes as a part of the efforts being undertaken by Ecuador with the objective of strengthening its process of comprehensive reparations to the victims of grave violations of human rights, as documented in the report issued by the country’s Truth Commission. 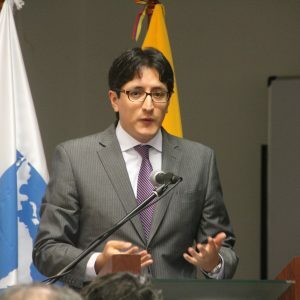 The international seminar fostered an opportunity for dialogue between State institutions and the beneficiaries of these restitutions, with a view to reinforcing the preservation of sites of memory and the creation of a Museum of Memory in Ecuador. International experts participating in the activity discussed and shared contributions on topics such as: collective memory in the context of truth and reparations processes (Clara Ramírez-Barat, AIPR), participation in processes for the construction of memory (Darío Colmenares, Centro de Memoria Paz y Reconciliación), Memory and the experience of the Resistance Memorial in Sao Paulo (Katia Felippini Neves, Memorial de la Resistencia de Sao Paulo), and Memory and related methods for communication (Isabel Ramos, Facultad Latinoamericana de Ciencias Sociales de Ecuador). The presentations resulted in a productive event that was characterized by a high level of collective participation and involvement. Attendees analyzed existing challenges in order to identify ways to repair the damage caused by the grave violations of human rights through the creation of spaces of memory and later presented their proposals. Photos courtesy of la Defensoría del Pueblo de Ecuador.